We're releasing 2TWO2 Collaborations! - Modist Brewing Co.
On the left: Cowlaboration #9 🐄 lab with Red Cow. A soft and hazy Single Hop IPA brewed from barley and heavily hopped with Denali. 6.5% ABV, releases on tap Thursday 5/24 at all the Red Cow locations, Red Rabbit, and at the Modist taproom. On the right: ☀Sun Protection Factor☀, a FRUIT PUNCH MILKSHAKE IPA we made with our friends at Portage Brewing Company. Dropping at 12 PM Friday 5/25 at both taprooms just in time for #memorialdayweekend. SPF is a Fruit Punch Milkshake IPA loaded with pounds of pineapple 🍍, strawberry 🍓, mango 🥔, coconut 🥥 , and vanilla👍🏻 that are packed on top of a malt bill of oats, wheat, and lactose and a hop bill of Denali, Citra, and Mosaic. 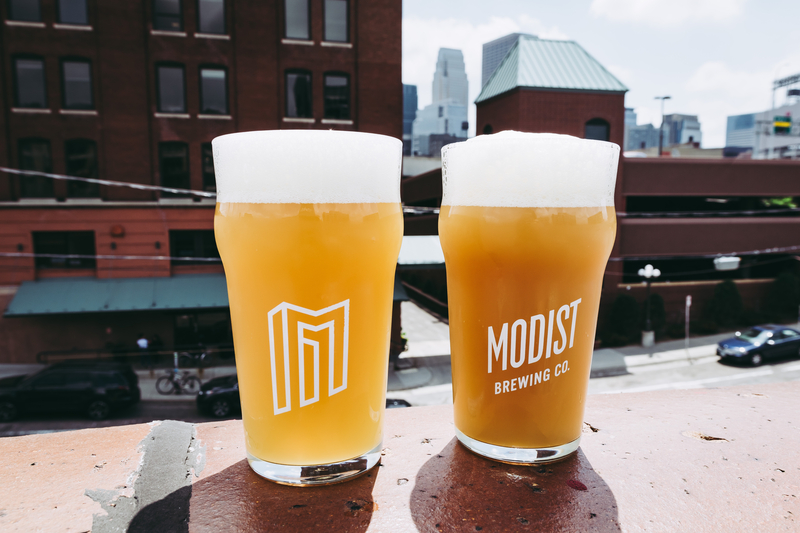 Modist will have a 3 crowler limit at $11/each. Get here!! !